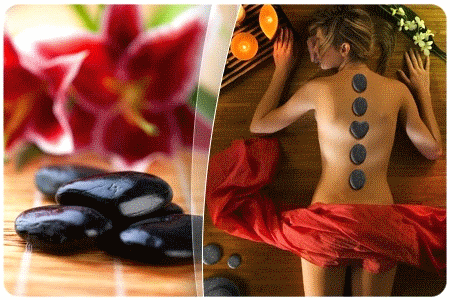 Hot stone massage combines massage strokes and pressure in combination with reduced pain and muscular discomfort. In the hot stone massage are very good heat-retaining basalt stones placed on selected meridian points. By weight and warmth, they develop a therapeutic effect and regulate the flow of energy in the body. In part, relatively flat, but larger stones are used. In the hands of the masseur, they increase the effect on the hot stone massage, or the reflex pathways are positively influenced by the pressure of the warm, smooth and perfectly shaped stones.